Alongside Celeste and The Messenger, the roguelike game Dead Cells by French-based developer Motion Twin was one of the indie success stories of 2018. In September last year, we heard how the Switch version of the game was outselling the PlayStation 4 version but no actual sales figures were officially released. Now, during an Automaton Media interview, Motion Twin's Benjamin Laulan has revealed the Dead Cells Nintendo release sold more than 100,000 copies in its first week. In the same interview, Laulan said the team was hard at work on the DLC for the game and said a free content patch would arrive early on in the first quarter of 2019. "If you create a big hit, it’s best to use this energy to make something different. I don’t think we’ll make a Dead Cells 2. We’re more open to creating more content and opening the game up more to the community. If we did make a Dead Cells 2, it’s because we really need the money (laughs). We don’t want to stick to the same thing though, so I think if we did come back it would be something quite different, not a platformer or roguelike along these lines." 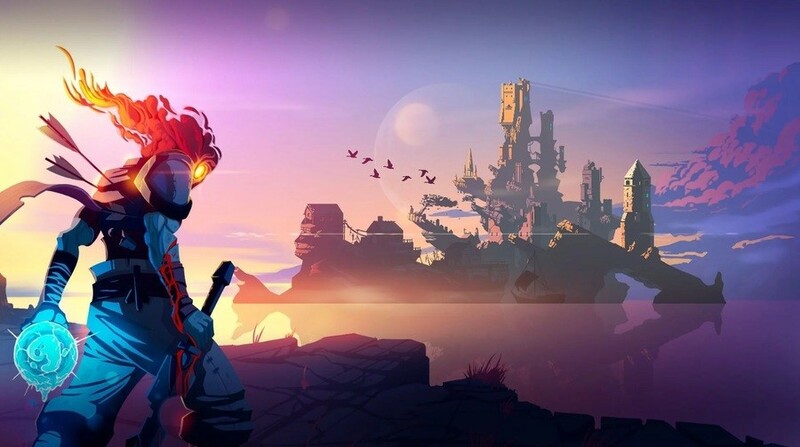 Are you at all surprised Dead Cells has sold so well on the Switch? Have you played it yet? Tell us below. Well deserved!!! I still have to play it but it seems to nice. Tough and challenging as it need to be. Bought it but haven't played it yet, please help, my backlog it's getting out of hand. I hope it continues to sell well. This was one of my favorites from last year, and it's great to hear they are bringing out free DLC for it. I'll be watching out for that. At the same time, I'm glad Motion Twin are looking to create something different next and not just going down the endless sequel road. 100,000 in the first week sounds really impressive for an indie title. No wonder all the indie devs are flocking to the Switch with all these stories of huge success. 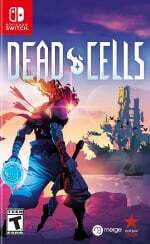 If I recall, the physical copy of Dead Cells didn't come out until a couple of weeks after the digital version too. And Tales of Vesperia is outselling the PS4 version and grossly outselling the X1 version. Even in the UK of all places. We’ve seen this trend ever since the system released. The complete opposite of what we saw on Wii U, where, even despite the worst drought of software we’ve seen in Nintendo history, 3rd party games just weren’t selling. On Switch, games are releasing left and right, and they’re all selling. Many outselling other versions even, and with 1/3 the install base. That can’t and won’t be ignored. We’re pretty much guaranteed as many games from Bandai Namco and Capcom as they can find hired help to contract out to, and can run on the system. Each and every game that sells well makes an impression on that developer, an impression that can pay dividends for years to come for any future games they develop when they decide platforms. It’s an investment. The Switch is slowly undoing the harm of past generations. The old “Nintendo fans only buy Nintendo games” is dying a very quick death here as more and more fans branch out and diversify from their comfort zones. And of course, a healthy helping of PS/Xbox gamers within the fanbase helping to boost sales isn’t hurting either. This is on my to buy list, but so is the messenger. I just got shining resonance and tales of vesperia so it might have to wait a little longer. Not to mention I'm still playing Celeste and into the breach and moonlighter, and slain... I never did finish botw, and I have some games to play on the megadrive classics collextion... Soooo much backlogged. @JaxonH Not to say that you're far off track, but first party titles ARE still far and away the top sellers on Switch. If you look at vgchartz right now (and yes, I know people say vgc is not super reliable, but I don't know any other site that does it better) the top 14 sellers on Switch are all first-party titles, and #15 is Mario+Rabbids. Third party sales are better than they have been in a long time, but are still dwarfed by those first parties. Having voiced that nitpick, I am well pleased at the relative success of third parties on the Switch. A LOT of devs have said that their best sales came from the Switch, even when their games have been available for less on Steam. We're almost certainly going to get new Valkyrie Chronicles and Disgaea titles mostly because of their success on Switch, and so many indie devs have been thriving there while struggling to be noticed on Steam and other platforms. That's good for them, and great for people like me who pretty much only play on Switch. It’s an amazing game. I love it. @Dayton311 that’s an incredible and completely relatable experience. Time for Nintendo to start snapping up these extremely talented studios before someone like Microsoft does. Imagine Nintendo holding exclusive rights to the next games from Yacht Club, Motion Twin, Sabotage, Image & Form etc. The Switch would be plagued with desirable 'AAA Indie' exclusives that you simply can't find anywhere else. @MJInnocent Yeah, funny that. I'm sure someone will come along and say that's chicken feed compared to God of War. The more success these types of indies have, the better in my eyes - they make more money which in turn they can put back into making bigger and better games, with the way the so-called "AAA" market is going at the moment it's good that people like this are coming through with honest fun. @Scottwood101 It might make sense for Nintendo to snap up a few of these indie studios before someone else does, but let's be real, if Nintendo didn't snag Rare when their games were doing so well for them in the N64 days, they're not going to start doing the sensible thing now. @Donald_M very true, but they've learned from their mistakes in the hardware department, let's hope they do on the software front! Maybe my most favorite game on the Switch along with Doom, Zelda, Mario and Steamworld Dig 2. Great game many many hours sunk into the bad boy. I'm going to get a new game - while I'm playing Zelda in the background along with kingdom rabbids ... And before I really start dark souls. I loved Hollow Knight and the gungeon, but I'm not that into punishing platformers like Super meat Boy. Should I get Celeste or Dead cells? Celeste does sound very special, but I suspect I'll enjoy dead cells more. Thoughts? Yet another success story; music to my ears really. ^^ I've been on the fence. @JaxonH Gotta raise my hand in the 'go out of their comfort zones' dept. I've always liked indies, quirky/niche titles, and sports games(hope Wwe 2k20 is a comeback! ), but I kinda jumped off the plane of home consoles after GameCube and stayed mostly portable until Switch(got a Wii U near launch, but eek... I guess it did get me into Darksiders ). It's nature of being a true hybrid just works, and 3rd parties actually jumping on board again naturally has made me dip my toes into those and other series I've overlooked. I got Doom(which led me to grab Wolfenstein 2; Doom Eternal is a lock), Ys Viii(I even just finished Ys I and II Chronicles on a friend's PSP...hell, said friend borrowed my copy of Ys Viii and he ended up getting his own), LA Noire(c'mon Rockstar), Diablo 3 Ultimate(friend got me into this; Walmart BF price screwup helped, too 😂😂), etc. Not including the fact that I still plan to grab Skyrim and Dark Souls at some point, and Mortal Kombat 11(welcome back) is damn sure on radar, to name a few others. I know what you mean. I think pretty much everyone's got a significant backlog going at the moment. Allow me to strongly recommend Dragon's Dogma, which is basically like Skyrim and Dark Souls combined with awesome Monster Hunter combat and a touch of Shadow of the Colossus (combing on monsters). It's a generational masterpiece. Also, if you're into YS VIII and RPGs, then Tales of Vesperia. One of the best RPGs of 7th gen, but was held hostage as a 360 exclusive until now. Fantastic game. And... Monster Hunter Generations Ultimate, though it does have a high barrier of entry. That said, it has more QoL changes than any entry in the entire series barring World, some changes of which aren't even in World. It's the pinnacle of the classic formula, and if you're willing to invest yourself into learning the game, it will reward you as one of the most thrilling and exciting releases on the Nintendo Switch. @JaxonH Idk what it is, but Monster Hunter has never fully clicked with me, but I'll keep an eye out for DD once I break into the others you say it's a mashup of(not to say I couldn't get it sooner). Any more recent puzzle games you recommend(if you're into those) though? Love them, but I think the last ones to really grab me were Puyo Puyo Tetris and Picross S(I still have yet to get S2), though I pick up the odd lil one like The Bridge. I think I have some others sitting on my wish list. @JasmineDragon of topic but is that a pic from Zelda or Link in Vai clothes?? I do think having a deep backlog is a good problem to have. I honestly can't remember a Nintendo system having so many great games, especially so early in it's life cycle. Consider me happy and broke. Would love to try a demo of this! Dead Cells is incredible. I found it ridiculously hard at first, but something kept me going...then I couldn't stop playing it for weeks. Definitely one of my favourite games of last year, and I'm thrilled at the Motion Twin's success. Dead Cells is a fine game, well deserved of it's sales figures. Tough, but fair game.